They are called the Fae, fay, faeries, sprites and pixies. Are they the same thing? Are there separate variations or species? What are they exactly? Where do they live? Who believes in them and how do they communicate with them? The best place to start this topic is with spellings and definitions. There are several spellings used throughout the world and spiritual community for faeries. 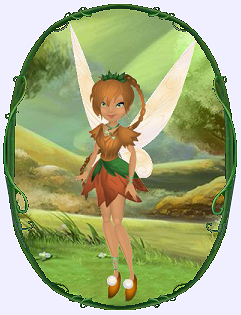 Fairy and faerie are the two most common, but they can also be described as fay or fae. Pixie, leprechaun, faerie, brownie, sprite are all terms for these supernatural beings, thought to be helpful or harmful to people. These variations in name are often attributed to different cultures of the world using different languages to describe the same thing. For instance, here in America we call the roof over the engine of our car a hood. In the U.K. it's a bonnet. The way we label these magikal little people is similar to that. Thus we have different names to describe nearly the same group of little people. Faerie is the most general name for such beings: a good faerie is often referred to as a godmother (faerie godmother); but they may also cause misadventures for humans. A brownie is a good-natured tiny being who appears usually at night to do household tasks: more often outside chores, such as cutting the lawn and tending weeds in flower beds. A pixie is usually a young, mischievous or roguish faerie. A Sprite refers to a faerie of pleasing appearance who is older than a fae and who is to be admired for ease and lightness of movement. Sprite can also refer to an impish or even hostile being. Even these generalizations can get mixed up based on where you are in the world and which faerie legends you read or research. Here in the west we can define these names and labels in dictionary standards, but to really understand them, it's best to research the etymology of these labels and not just their definitions. Are benevolent goblins (an ugly little creature), who are supposed to haunt old farmhouses in Scotland. First used in the 1510s, and described as "a wee brown man". A "household sprite." First seen in 1811, from playful use of the proper name represented in dobbin (the name of a farm horse in Merchant of Venice). In Sussex, England such apparitions were called Master Dobbs. In early folklore, an elf is one of a class of "out of the ordinary beings", especially from mountainous regions, with magical powers, given to capricious and often mischievous interference in human affairs. They are usually imagined to be a diminutive beings in human form; similar to a sprite or fairy. Elf appears in various European regions. In Germanic folklore elf appears in the form of Old Norse alfr, German alp as "one of a race of powerful supernatural beings" referring to an "evil spirit, goblin or incubus". Used figuratively for "mischievous person" from 1550sAD. 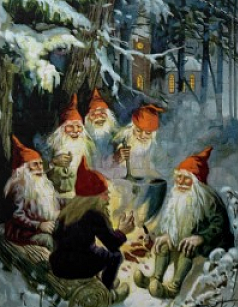 These Germanic Elves were some of the first concepts of the Jolly Old Elf. Over time, these elves and specifically Santa Claus, slowly became kind little people thanks to the Yule version of their kind. The small diminutive Elf rises in stature in Old English folklore in the late 16c. In the Middle Ages (5th to 15th centuries) Elves were confused to some degree with faeries; the more noble version begins with Edmund Spenser (1552-1599); an English poet best known for "The Faerie Queene". Their image as a tall and beautiful race of mystical people is further cemented in the works of J.R.R. Tolkien's Hobbit series. Nonetheless a popular component in Anglo-Saxon names, many of which survive as modern given names and surnames, cf. �lfr�d "Elf-counsel" (Alfred), �lfwine "Elf-friend" (Alvin), �lfric "Elf-ruler" (Eldridge), also women's names such as �lffl�d "Elf-beauty." First found around 1300AD, faerie refers to "enchantment, magic". It derives from Old French "faerie" as the land of fairies, meeting of fairies, enchantment, or magik. 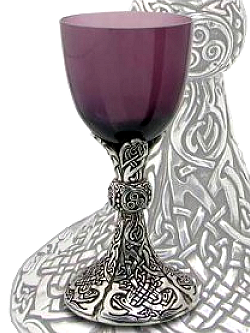 It may also be derived from fae "fay," from Latin fata (plural) "the Fates". Faerie as "a supernatural creature" is from the late 14c., perhaps through intermediate forms such as faerie knight "supernatural or legendary knight" (early 14c.). The diminutive winged beings so-called in children's stories seem to date from the early 17c. The slang meaning "effeminate male" or a homosexual man is first recorded 1895. Faerie ring is from the mid 1590s. Fossil sea urchins found on the English Downlands were called fairy loaves. Is a figure from old Celtic legends (most specifically Irish lore), described as a little old man who will reveal the location of a hidden crock of gold to anyone who catches him. It can be found from 1604, Irish "lupracan", Old Irish "luchorpan" in literature, as "a very small bodied person". Is commonly spelled lubrican in 17c. English. First seen in 1630AD, the name is from obscure origin. It perhaps comes from or is related to Swedish dialect pyske "small fairy". But West County origin suggests the ultimate source is in Cornwall and thus comes from Celtic oral traditions and lore. The earliest references were in pixy-path "bewilderment". Literally it referred to a "path on which one is led astray by pixies," and pixie-led, meaning "lost." Pixie is seen as a regional term to define faeries of a particular region or culture. Most specifically in Celtic (Scottish and Wales) lands. Being Pixilated referred to a person who was touched by Pixies, implying they were slightly insane, or made mad by the touch of the pixies. Pixy is an alternative for Pixie. First seen in the 1300sAD, from Old French esprit "spirit," from Latin spiritus. Described as a nimble elflike creature, especially one associated with water. Nixie comes from an Old High Germanic word (nihhussa) to mean a water sprite. In folklore a faerie is one of a class of supernatural beings, generally conceived as having a tiny human form and possessing magical powers with which they intervene in human affairs. There are over 1000 varieties of faeries throughout legend and lore around the world. Almost every culture has some form of faerie being who interacts with humans. Some cause havoc others protect or help. The earliest depictions of faeries is reportedly found in Etruscan* art around 600 BC, where paintings display small human formed beings with wings. The Etruscans called these beings Lasa. Some have suggested that faeries don't appear in Celtic lands until after the rise of Christianity. 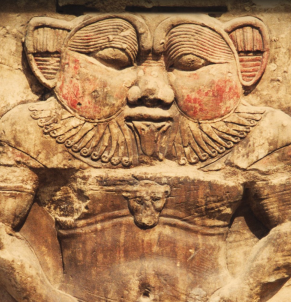 But earlier Celtic lore doesn't support this approach and suggests the faeries were first described around 400 BC as the Celts were exposed to the practices of the Etruscans. Others suggest they can first be found during the Stone Age period (9000-8000BC) in Old Europe's Cult of the Dead. The Anglo-Saxon Chronicles (800 AD) were writings that described, among other things, charms against 'elf-shot'. The link between faeries and the dead has been a long association. Some suggest fairies were originally the spirits of the deceased. Thus their association with the Cult of the Dead in Old Europe, the tomb paintings of the ancient Mediterranean and in Etruscan art which depicts faeries in the company of a god or goddess. They can also be found in this context as part of the Lare of the Romans. A Lare or Lar in early Roman religions were guardians of an area, place or home. Statues of a Lare figure were often placed upon a table to provide blessings to those who sat around it, or as a place of honor where diners would thank the Lare for the bounty of food. The Celtic Tuatha de Danann have been described as early legends of Celtic faeries. The Tuatha de Danann came out of the mist and arrived in the British Isles. The early Celts were oral traditionalists. It's likely the Tuatha de Danann where talked about in poems and stores long before writings recorded their importance. The Celtic Book of Invasions (The Lebhar Gabh�la �ireann) describes the Tuatha de Danann battling the Fir Bolg and defeating them. The Tuatha de Danann were not friends to the Celtic people however. Rather they are described as precursors in the Book of Invasions. They are defined as the 5th group to settle Ireland, conquering the island from the Fir Bolg. As the Celts moved into Britain around 600-500BC the Tuatha de Danann moved into the hills and forests to live in secret. This presumably linked the faeries to nature and living in the country lands. The Etruscan faeries are associated with vegetation and the secrets of Nature, again aligning faeries with nature. The spiritualists of the west tend to focus on faeries of Europe, but they do exist all over the world. they can be found in Japan, China, India and in many shamanistic cultures of Native American Indians, African tribes and Australian Aborigines. For instance, in Japan the Chin-Chin Kobakama are fairy like in appearance. They are generally elderly but are amazingly spry. They are seen as a house faerie and specifically are interested in floors, either natural wood or rugs. They move into a home, provide their protection and assistance as long as the home is kept clean. They are known to tease sloppy children and chase after sloppy housekeepers. Generally faeries are highly connected to nature and take care of the natural world or what some might call the elemental world. They bring the spring and help the nature kingdom wake up from its long winter slumber. They work through the summer to help nature grow and into the fall to direct nature through its transition into winter. And in winter they bring the snows and watch over the natural world while it sleeps. In these legends, the faeries are in charge of the elemental seasons helping the world transition from one section of the Divine circle to the next. Other legends have the faeries watching over the vortex elements of nature. These elements being earth, air, fire and water. They use these elements to support the natural courses of nature as it moves around the Divine circle of change; birth, life, death and spirit. In our modern times, this is excellently depicted in Disney's Tinkerbell movies. 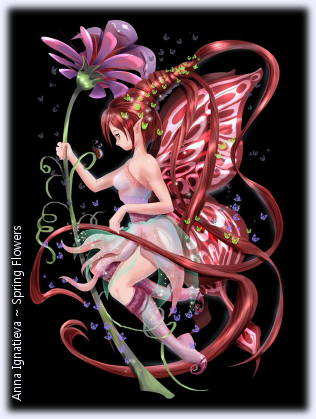 Each type of fairy has his or her own talent that assists nature moving through the seasons, which are brought to the human world by the fae themselves. In general faeries live in Faerie Land, a mystical invisible place that can rarely be seen by humans and only at certain times of the day or year. Some legends foretell of humans who have been touched by the faeries and can see their land whenever they want, or only at night. Other stories say Faerie Land can only be seen at night during a full moon, or only during certain holidays during the year when there is much merriment and the faeries drop their guard to keep hidden. The most common of these holidays occurs during 3 Pagan Sabbats (sabbath holidays). The first occurs in May and is known as Bealtaine when the God and maiden Goddess are betrothed. The second occurs on the last sunset of October known as Samhain when the Celtic New Year begins. The final holiday occurs at the end of the year during the 12 Days of Yule when the God is reborn to the world. Other encounters can occur, but are often confused as being something else and not as communications or sightings from the faerie world. Faerie Fire is a perfect example of this. Faerie Fire is a misty, phosphorescent light fluttering or flowing through the night. It can be seen in a graveyard as an etherical shell around a confused spirit. When seen on a road, it is believed to be a light designed to misdirect a nighttime traveler. In Russia it is seen floating around the head of an unbaptized child while it sleeps. Presumably the light is from faeries magik designed to protect the child from evil while it sleeps. Some legends describe faerie signs or signs of faerie existence. Such as faerie circles, faerie mounds, faerie stones and faerie weeds. Faerie mounds are described in Scotland as the actual physical formations in the earth believed to be the homes of the little people. Faerie Stones are stones with a naturally formed hole that has the vibrational frequency to be worn as a healing agent or an amulet of protection. Faerie Weed is a specific type of plant that assists the faeries with psychic manifestations. Even today people talk about the fairy circles in their yard. 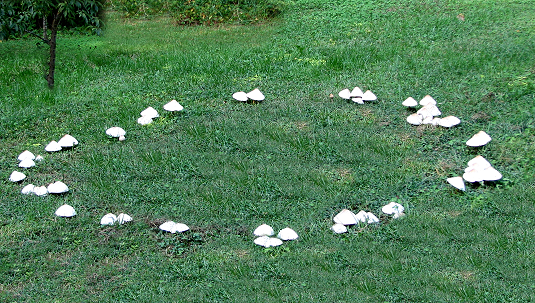 These are circles of mushrooms that seem to pop-up over night in your yard. They are said to grow from the magik dust left behind by the faeries as they danced and celebrated during the night in our world, before returning to their hidden land. Most legends of faeries agree that in Faerie Land time and space do not move in the same manner as it does in the human world. A single night in Faerie Land can equal several years in human time. Because of this the entrance way into Faerie Land is highly guarded and can only be found in the base of a tree trunk. Some suggest it has to be a specific kind of tree, such as an old Oak. While others specify other variations of entrances based on that cultures connection to the spirit world. For instance a few legends of the orient suggest the entrance into Faerie Land can only be found in the first bloom of a lotus plant. In order to guard against the faeries playing havoc with the human world, some people would block the 'exits' from Faerie Land with iron. Faeries believe iron to be an abomination and have no magikal influence over it. In order for a human to gain entrance into the Faerie Land, a human would stick a rod of iron into the door so it could not be closed. The faeries wouldn't touch the iron and the door would remain open until the human removed it. There are many Pagan Metaphysical traditions that incorporate faerie legend and lore into their practices and focus. Let’s have a quick definition here so we’re speaking from the same page. Pagan is any religion that does not follow the doctrine set forth by Abraham; what we call Abrahamic tradition. Pagan Metaphysics is a modern name for the Old Religion or what many people know as Witchcraft. Pagan Metaphysics is a global religion, of which Wicca is the most common denomination here in America. Wicca is to the Old Religion, as Baptist is to Christianity. There are many denominations of Pagan Metaphysics, some older than Wicca, some more recently created. There are so many modern variations of faerie traditions that they all cannot be listed here. One of the most well known Wiccan based systems is The Feri Tradition founded by Victor Anderson and Gwydion Pendderwen. Their practices are very secretive and little is known about their specific beliefs and practices. Faeri Wicca places an emphasis on the Fae (gnomes, elves, faeries, sprites, etc. ), their lore, and their relation to the natural world. Many associate this tradition with the Tuatha de Danann. Another variation is sometimes called Faerie Wicca, which is associated with the faerie tradition founded by author Kisma Stepanich. Other faerie traditions base their practices on common thoughts and beliefs of the Faerie folk laid out in several cultures and mythologies. These groups take what they like and discarding other elements to incorporate into their own Tradition. Other groups such as the Dryads, base their beliefs and practices on a Celtic tradition that honors a specific set of faeries. In this case the Dryads work with and honor the Tree Spirits. They also go by the name Sidhe Draoi or the English translation Faerie Druids. Of course no one has to connect with faeries for magikal workings. But doing so helps to add the elements and energy of nature to magikal workings. There maybe times when a practitioner wants a little extra help and the faeries can certainly do that. Magikal workings can be with specific groups of faeries for specific purposes or a working can invite a specific faerie by name. In her book 'A Witch's Guide to Faerie Folk', Eden McCoy provides a great quick guide for faerie forms and endeavors. You can work in general terms as well by calling on faeries of particular elements, such as the Faeries of the Wood, or Water, Air or Fire. Or you can just call on the faerie folk and allow them to come to you as they may. It's really up to you and what you feel comfortable with. Calling upon the faeries isn't different than calling upon your guides or the Divine force in your life. It requires focus and forethought. What do you want to do, how do you want the faeries to help and what do you want them to help with are all things you need to think about before you call upon their magikal assistance. Begin by sitting down in a quiet location and going within to your higher self. Take in several cleansing breaths, set your shields of protection and state your intent. Move into a meditative state and guide your visions toward creating the energy you want to establish, be it communication, looking within yourself for spiritual learning, or walking through the process of a ritual you are about to conduct. Faeries bright in faerie light, please help guide my sight, to find the answers inside tonight. Faeries bright in faerie light, please help me pull the card that is right and find the answers I need tonight. Faeries bright in faerie light, please help me create energy tonight, guide my thoughts and guide my sight to manifest the spell that is right. Just as important as asking for help is making sure you thank the faeries for coming to help you. It's also a good idea to make an offering to the faeries as well. Specific faeries like specific thing. If you want to provide a generic gift, leave a plate of fruit or vegetables outside by your favorite tree after sunset. Don't leave meat, and if you leave a drink, wine is the most common. Highly processed alcohol is generally a bad idea. Some faerie experts say leaving alcohol of any kind is an insult to the Fae. They suggest leaving natural fruit juice instead.